You’re surfing Facebook and run across a quiz about sculpting your abs. You click through and it has a nice title and the description makes you want to dive right in – so you do. Something is off. The quiz questions seem irrelevant. 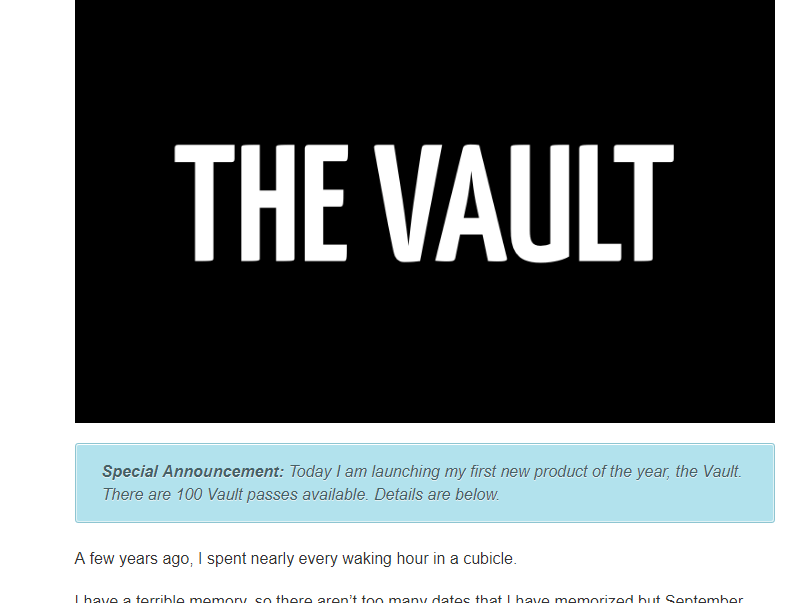 You answer a few but feel like you’re being shortchanged so you click the back button and write the website off. An otherwise great experience is marred by poor presentation. The potential of interactive quizzes to get you 2-10x more leads is too good to pass up. With the right topic and audience, the quiz practically does the work itself. Well, that’s the theory. In reality, you need to ask the right questions to get the results you want and give your audience the result they want. There’s a simple process to follow that’ll make all the difference when it comes to crafting the right quiz questions. Let’s dive in. After you’ve gotten the best title, the next step isn’t to write quiz questions. First, you need to decide what the outcomes for your quiz takers are. Before you leave the airport you need to know where you’re going right? This is the same principle. When you create the outcomes first, you set up guideposts for your quiz questions. It prevents you from going too wide with your questions and having to rewrite them later. At the same time, the outcomes are what your audience is waiting for. It’s the intrinsic part of motivation. If you’re Buzzfeed or a general media company that doesn’t care too much for targeted leads then you can make the outcomes generic. If, on the other hand, you’re looking for qualified leads then your outcomes should speak to them. If not, they’ll feel shortchanged and write you off without a second thought. That’s not the goal here. Instead of that route, drill down. Don’t be afraid to expose the real pains and challenges someone who gets a specific result would experience. For example, if your quiz is focused on the fitness level of the quiz taker, you’d have multiple outcomes like beginner, intermediate, and advanced. Your outcome for beginner could let them know they’re a beginner, touch on specific problems beginners tend to experience, and the next steps to take. If you have a quiz about a little black dress, your outcomes could focus on different styles. Touch on why that dress’ style fits their personality (and even the story of the dress), a few ways to wear the dress, and events where it’s ideal. Note: Longer ecommerce descriptions and storytelling have been known to sell more products. Check out this website, for a first hand look at how stories make your offers more valuable. Aim for a few paragraphs as opposed to a few sentences. Remember, these are people who went through your entire quiz, parted with their email address, and want to know more about themselves and the problem you’re addressing. A few paragraphs won’t scare them away. Images consistently outperform text on almost every platform. They perform better on Twitter, they perform better on Facebook, and they perform better with blogging. The same holds true with your quiz outcomes. Incorporate a relevant image to illustrate the outcome. You get bonus points if you use custom illustrations or images. A personality quiz is evergreen. If you use a product recommendation quiz then it’ll last at least as long as the season. In the end, spending more time on your quiz outcome makes it more likely your quiz taker will share it with their followers on social media. It also increases engagement on the follow-up emails you send. After you’ve made a few outcomes you can put together questions that’ll get you the results you want. There are no hard and fast rules for making quiz questions. There are a few guidelines that when followed will help you make compelling quiz questions. You made outcomes for specific segments of your target audience. The questions follow suit. If you did the research needed to make the right outcomes in the first part then this part is easy. After all, 71% of people feel personalization would impact their decision to interact with brands. The beauty of quiz questions is that you can be less formal than in other correspondence. It’s meant to be a fun experience that creates intrinsic motivation for participants. Even if you tend to be more formal, you can use quizzes to loosen up a bit. Structure the questions to use terms your target audience would use in normal conversation when describing the problem you’re addressing. The proper term may be xd341 glass but your audience knows it as iPhone glass. Use iPhone glass in your question. If they call carbonated water with food coloring coke, guess what? You call it coke. The fastest way to scare people away from your quiz is to start with questions that’re too hard or involved. Ease into the process. Think of it like courtship. You don’t come out and tell someone you’d screw their brains out (if you do let me know how that works for you in the comments), you ease into it. You start with a coffee date, send messages, long calls, dinner, and then you ask them to go steady. There’s no difference between that and your quiz questions. Well, the only difference is that the quiz only takes two to three minutes. Avoid being clever with your questions or trying to trick people. You want clean data that’s representative of your new subscriber. If they don’t understand the question then they won’t enjoy the experience or give you the best answer. That doesn’t mean the questions should be boring. Start with an exciting question and end with an exciting question. You want your quiz to be a positive touchpoint between you and your audience. Do use language your audience uses and understands. Don’t incorporate current pop culture references. You don’t want to limit the shelf life of your quiz because you tied it to the world cup. The people who opt in because you mentioned Ronaldo will unsubscribe quickly. A better option is to incorporate themes at the core of your brand. For a fashion brand that may be luxury and sophistication. Or maybe your brand centers on being sustainable. Incorporate those elements into your quiz. If creating lasting success is one of the pillars of your brand then make that a part of your quiz. Your brand is unique and by associating with you, your audience uses you as a reflection of their self-identity. Reinforce the qualities that brought them to you in the first place and avoid the lure of quick spikes in traffic. There’s no perfect answer to this question. Some places say seven, some say eight, some say as many as twelve. We have our own data which we’ll publish in due time. Until then, stick with between 7-10 questions. This is long enough to feel like you’ve asked questions that reveal true insights and short enough to prevent fatigue. Even though it’s interactive content, that doesn’t mean people won’t get tired if it goes on too long. Life is a distracting taskmaster. Remember, this is a rule of thumb so I encourage you to test it yourself. Interactive quizzes can do everything you need them to do. That will only happen if you ask the right questions. It’s important to find a balance between what you need to grow your business and what your audience wants. If you fail in either regard then the quiz won’t perform as well as you hope. Let us know if you have any questions or thoughts in the comments. Don’t forget to share. Right after traffic, your conversion rates are the best gauge of how well your website is doing. 40% of marketers cite a conversion rate of less than 0.5%. For every 200 people that visit a website, only one person takes the desired action. They attack the traffic problem and dump more and more people onto a site that’s underperforming. Interactive quizzes and other forms of interactive content have shown time and again that they convert. 3.5x more marketers reported interactive content as converting very well when compared to static content. We learn best with engaging content. Studies show that people who interacted with the content they were learning from experienced more deep learning. You retain more of what you’re exposed to. When I was growing up, we’d always buy the Sunday paper on the way home from church. At home, everyone would go in tseparate directions. My mom would be making dinner (always smelled great), my dad would be in in the living room watching a game, and my siblings and I would be sprawled out in front of him solving the crossword puzzle. I was in charge of asking my dad for answers. My older sister was in charge of tapping my mom. My other sister would enlist the neighbors. Once we were done, we’d keep the paper in a special place while we waited for Sunday to roll around again. On the way home from church, my dad would buy us the paper and we’d check our answers in the back seat. Everyone, even our neighbors, wanted to know how it went. That’s the power of interactive content. In a study analyzing 100 million pieces of content, 8 of the top 10 pieces of were quizzes. To understand why quizzes work so well, we need to understand human motivation. We can divide motivation into two large categories. This is motivation that comes from inside the individual out of will and enjoyment for the task at hand. You do it because you like to do it, not because of some outside reward or marker of success. This is motivation that comes from external factors. You do it because of other rewards such as money, fame, respect, etc. There’s nothing inherently wrong with either motivation, they both hold a place in your life. You go to work for a paycheck. You play with your child because it feels good. The major difference is how long the motivation lasts. I write for intrinsic and extrinsic reasons. It helps me grow KyLeads but I also enjoy doing it. If I hated it then I’d choose a different route or hire a writer. Interactive quizzes tap into the intrinsic part of motivation. We take them because they’re fun and we learn more about ourselves. We’re not about to win a million dollars or recognized around the world by personality. We do get a warm fuzzy feeling when the results are positive. We like to not only understand who we are but share that information with people around us. How would you feel if, after taking the quiz above, you realized you’re crushing your conversion rates? You’d feel pretty good and be more inclined to share your expertise. While there’s no definitive source for what a good bounce rate is because of so many factors, there are benchmarks. An excellent bounce rate is between 20-40%. 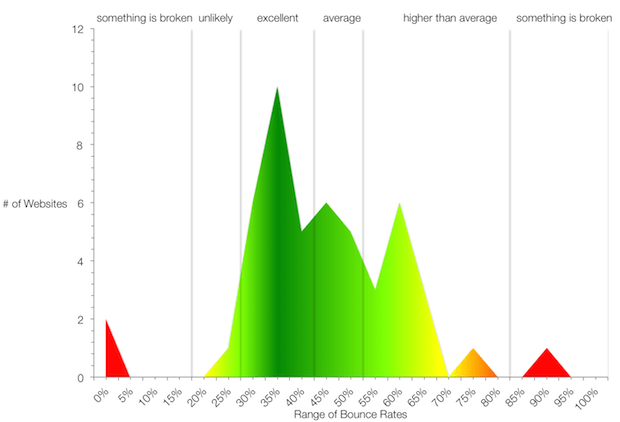 A bounce rate above 70% is cause for worry unless you’re running a blog, news site, events, or anything similar. The last thing I want to touch on when it comes to quizzes for lead generation is their ability to help you unlock useful information about your subscribers. Each person that takes an interactive quiz gets a result personalized to them. It doesn’t and shouldn’t stop there. Take the insights you gain to personalize your email marketing, your offers (more on that later in this article), and your website. Humans are browsing your website, not data points, treat them accordingly. 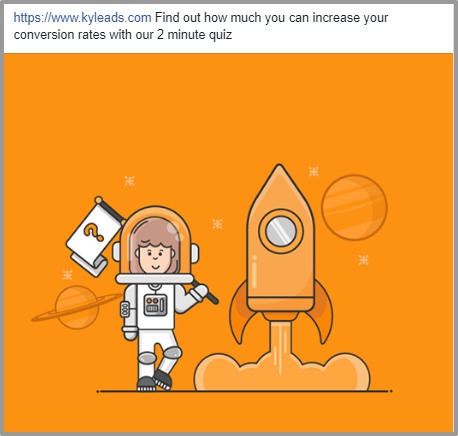 We do this all day, click this link to start your free trial of KyLeads and begin using interactive quizzes to build an engaged list. To derive the benefits of interactive quizzes for lead generation, your quiz topic needs to be something your audience is interested in. Who are you serving? Are they men or women? Are they old or young? Are they interested in tech or farming? What problems do they come to you to solve? You can answer a few questions like age and gender with Google analytics. You can also figure out which pieces of content they’re already consuming. If you don’t have much traffic then visit popular websites like Quora to find questions. For example, you have a post on your website titled “21 little black dresses to try this summer” and it gets a lot of traffic. You could easily make a quiz that focuses on helping them choose the best dress for them based on their personality. Now that you know who your people are and what they want, whip up the quiz with them in mind. For example, you can have two types of people visiting your little black dress post. One could be men. One could be women. They need different quizzes. The guys are there for their sister, or wife, or girlfriend. The ladies are most likely there for themselves. The questions should help lead the quiz takers down the right path. More than 60% of our communication focuses on us and the people around us. That number jumps to 80% when it comes to social media. Why do you think that is? It feels good which goes back to intrinsic motivation. Whenever possible, structure your quiz in a way that helps the taker understand more about themselves. Once you have a topic, the next step is to settle on a title for the quiz. Depending on the type of quiz you choose, there are different ways to structure the title. This quiz gets a lot of engagement because you promise to reveal something about their personality. What kind of x are you? What does x say about you? What does the way you study say about you? What does the way you talk say about you? Knowledge quizzes work because they challenge the taker. They dare you to put yourself to the test and find out of you know as much as you think. How much do you actually know about x? How much do you know about commas (I aced this one)? How much do you know actually know about rap? 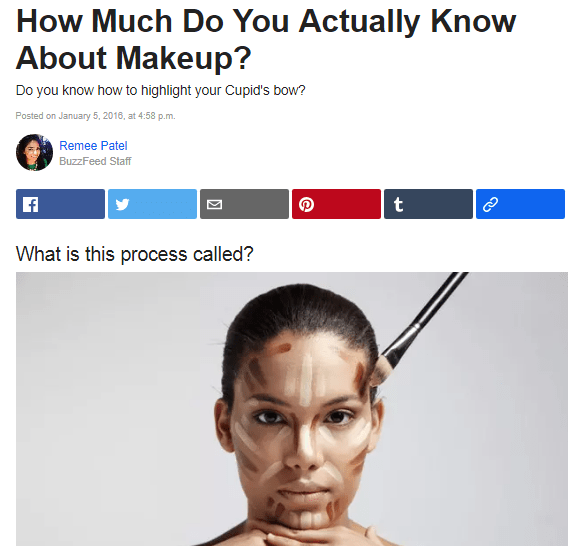 How much do you actually know about makeup? This quiz is most closely tied to a direct sale. The quiz taker starts the quiz with the knowledge that you’re going to recommend a product for them. It appeals to impulse buys and lower end products. Which x is best for you based on your personality? Which little black dress is best for you? What’s the ideal shade for your living room? What kind of wall décor is best for you? You can use these titles for almost any quiz. After you’ve gotten the best title for your interactive quiz, the next step is to make questions that keep your quiz taker engaged. They need to give you the right information to qualify and segment your leads. At the same time, they need to be relevant to your quiz taker. Just like your topic and title determines who your quiz will appeal to, your outcomes determine the best questions to ask. The outcomes are the results your quiz taker gets after they finish the quiz. It’s what they’ve been waiting for. They should be positive and, no matter how bad, show them a way to become better. The answer to each question is mapped to a specific outcome. Without them, you’re shooting blind. Take the time to ruminate on the possible outcomes related to your topic. If your quiz helps people figure out their love style, create outcomes that tell them the best love style. In addition to that, use an image and create a 300 – 500 word deep dive into their result. It reinforces your expertise and allows them to see themselves in the outcome they got. It improves the chances of them sharing and increases engagement on the follow-up emails you send. Keep your target audience in mind when writing questions and answer. (recurring theme no?). If you’ve been following along then you’ve already checked out your target audience and know who you’re talking to. Interactive quizzes are informal. Even if your brand isn’t adventurous, it’s a rare opportunity for you to loosen up. Ask questions using words and phrases your target quiz taker would use naturally. If they would use contractions then you use contractions. If they describe carbonated water with food coloring as soda or pop then describe it the same way. Start your interactive quiz with easy questions so your quiz takers can warm up to your quiz. Make sure your questions are clear and straightforward. This isn’t an eight grade English Literature test. Both you and your quiz taker want to leave the experience with a positive impression. When it doubt, stick to questions that can be answered with yes, no, or maybe. You can also use agree or disagree as answers. You want your interactive quiz to be a positive touchpoint between your audience and your brand. We touched on using language your audience would understand and allowing yourself to loosen up. At the same time, you should avoid current pop culture references because it’ll limit the shelf life of your quiz. Instead, incorporate themes that are at the essence of your brand. If you’re environmentally conscious then find a way to incorporate that type of question. Your brand is unique and by associating with you, your audience uses you as a reflection of their self-identity. Reinforce the qualities that brought them to you in the first place. This is a hotly debated topic. Some sources say use seven questions. Some sources ten. We have our own data which we’ll release eventually. Until then, stick with between 7-10 questions. This is long enough to feel like you’ve asked proper questions and short enough to prevent fatigue. This is a rule of thumb and you should by all means test it yourself. This is the moment of truth. All your hard work will be paid off here – or not. Remember that pesky 2-4% conversion rate most websites suffer from? This is where you get 10x that number on the conservative end. There are two driving factors that make interactive quizzes for lead generation so powerful. The first one is a psychological phenomenon known as the sunk cost fallacy. The sunk cost fallacy states that we continue an action because of the time and resources we’ve already invested in it. In this instance, the sunk cost isn’t much but you’re producing micro commitments with every answered question. Have you ever started something and decided not to quit because you’ve already spent so much time on it? The second driving factor is because the quiz is personal. You want the results because they’re for you and you alone. They’re not for John, Lucy, or Dave. By virtue of taking the quiz, most of the hard work is already done. With your lead capture page, it’s just to seal the deal. We’ve written on headline formulas before so I suggest you check that out for a solid understanding of how to write a good headline. The description reinforces the promise you made in the heading. Using the same example from above, your description can let them know you’ll send their personalized recommendation and give them tips to make the most of their little black dress. You spent a lot of time and energy creating your quiz. It’s time to post it on your website and get 10,000 leads right? I wish. It takes a tiny bit more work than that. 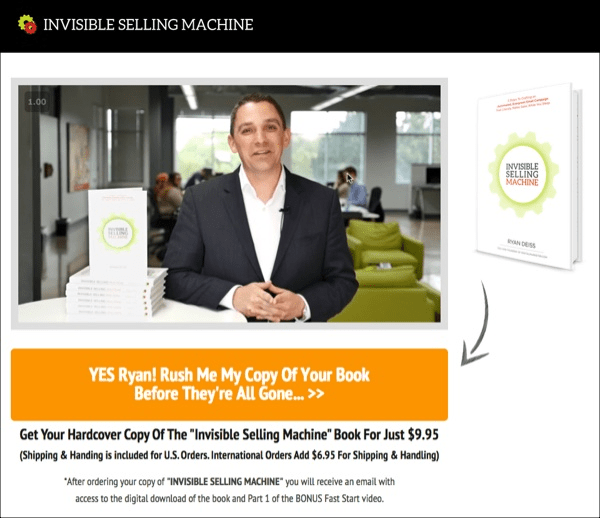 There are countless ways to promote your interactive quiz and get tons of leads. We’ll touch on a few. Facebook has billions of users. You only want a teeny tiny portion. If you’re already active on Facebook then dropping your link in relevant groups is an easy win for you. Just make sure you preface it with an engaging description/comment before you place your link. Tell the viewer what the quiz is about, what they stand to gain, and why it matters. If you’ve got a few dollars then you can also create a post on your page and boost it. Remember, quizzes are built to be shared. Twitter is notoriously fickle. It can take you from zero to one hundred real quick. Share your quiz on Twitter multiple times while experimenting with different hashtags and mentioning relevant influencers. All it takes is for one person to start the movement. Pinterest is built to send people to different – interesting – websites. The most important benefit is that a Pin has a much longer shelf life than almost any other social network. It can continue to get pinned over and over again. Use a tool like Canva to make compelling images for your interactive quiz and share them in relevant group boards. This has benefits well beyond just your quiz. You can use the group boards you join to build your own following and promote other content. This is meta. You’re using your email list to promote your newest lead magnet. The power in this approach is that your list will be much more willing to part with their email address. You can then resegment them and send better emails. In addition to that, they’ll promote their results on their social media channels and help you get the word out. 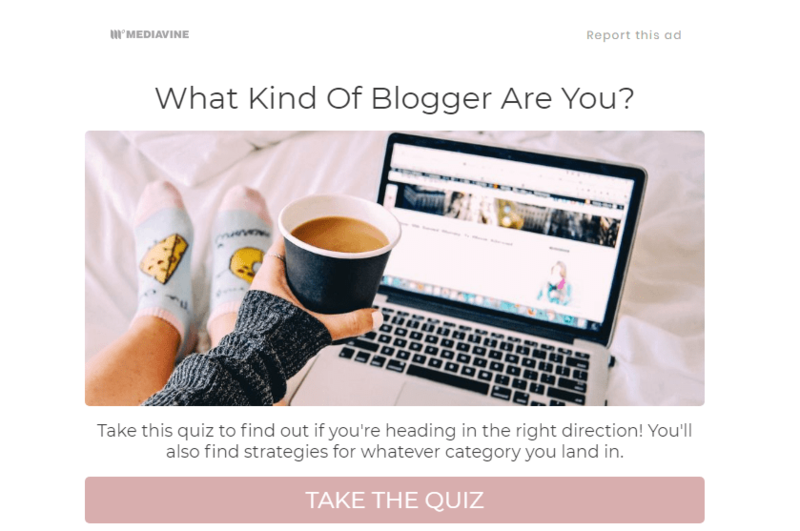 Another quick win is to write a blog post about your quiz and promote the post. Use it like a content upgrade to add more value to your post. You’ll continue to get traffic to the post and leads long after your initial push. If you don’t have a lot of traffic right now, don’t worry, after an initial promotional push, the backlinks and traffic will come. Interactive content truly is epic. 59% of shoppers who experienced personalization say it affects their purchasing behavior. 90% of them say they’ve bought on impulse while shopping online. 74% of online buyers say they get frustrated with brands who show them online results that have nothing to do with their preferences or purchasing behavior. The data is telling us that people want products and services tailored to their unique needs. They don’t want the ten thousand other products that could be for them. Your quiz gives you enough insight to recommend a product right away. The only caveat is that you won’t be able to sell a high ticket item. Enter the world of front-end offers. A front-end offer (also known as a tripwire offer) is relevant to your main products but much cheaper. This could be a discounted game for your console. It could be a cheap Ebook that compliments your signature course. It can even be an accessory that compliments the little black dress. There are two things you need to get right with a front-end offer. It needs to be relatively inexpensive. This doesn’t mean cheap. If you’re selling $1,000 bags then it wouldn’t make sense for your brand to offer $5 bracelets. The second thing is it needs to be relevant to the next product you plan on selling. The reason many people don’t see the benefits of front-end offers is because they’re irrelevant to the main offer. If they buy a front-end offer that’s an Ebook on dog obedience, they probably don’t want a course on cat obedience. It sounds obvious but this is an important point. If you use advertising to drive traffic to your quiz then the front end offer can offset some of your ad costs. When you create your quiz correctly, the leads you get are segmented by outcome. Apart from getting the contact information, segmentation allows you to send better email messages. Segmentation is like the holy grail of email marketing. Traditionally, it can be hit and miss. With quizzes, you get it right from the beginning. So what do you do with those segmented contacts? Send them to a sequence that all your contacts enter? That would be doing yourself (and your contacts a disservice). Instead, send them emails tailored to what they’ve already revealed about themselves. 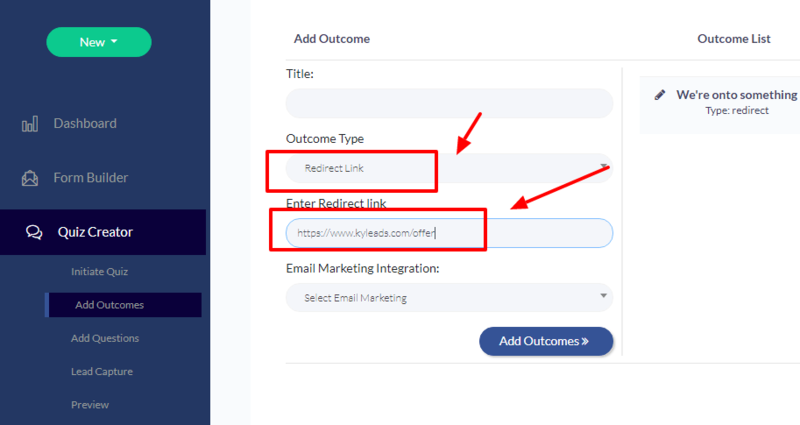 With KyLeads, you have the built-in ability to segment users based on their outcome. We like to use what we call Humanity Marketing (HM for short). It’s simply the process of tailoring your marketing based on real human relationships. The result is you send better emails, get better responses, and generate more revenue. It’s a little much to get into here, let’s look at a welcome email series you can use. Immediate welcome emails that reinforce the core benefit they’ll get. Give a bonus if possible. Use this as an opportunity to tell a story. Talk to the specific outcome they got from the quiz and provide a quick win relevant to them. Final buying belief and an ask for a webinar/consultation/whatever makes sense to you that’ll move them to the bottom of the funnel to purchase stage. 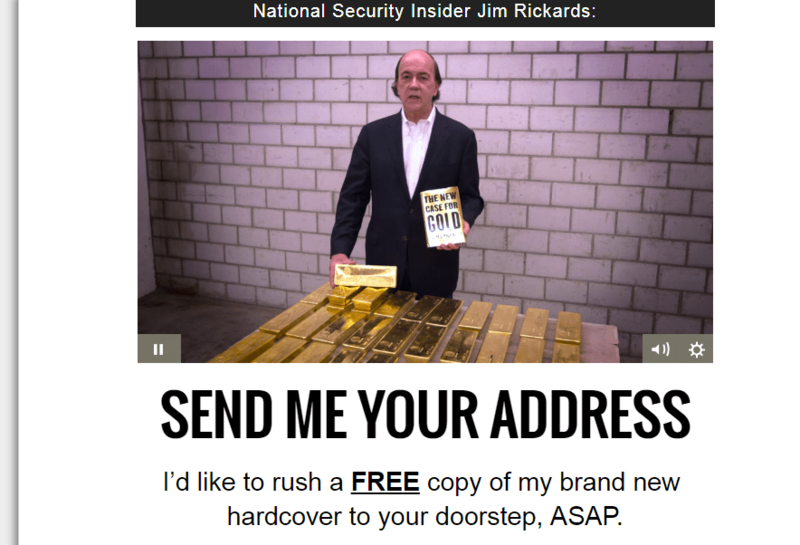 This is a very general overview of how to email your new leads. It goes much deeper than this but we’re strapped for space. I’ll make sure to create a post that dives deep into this process. Interactive quizzes consistently outperform traditional lead capture methods. It takes a little bit of time to get it perfect. Once you do, it’ll generate leads for a long time to come. Let me know if you’d like to add anything or if you hit any snags while making quizzes in the comments.